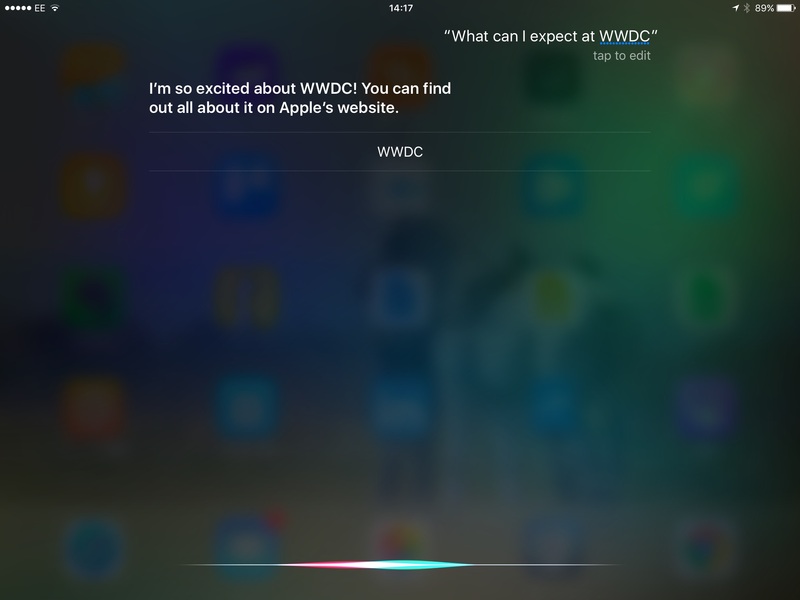 WWDC rapid approaches, and with it a rash of rumours about new products and offerings. Siri is perhaps the most topical on the rumour mill with talk of an Amazon Echo competitor, the opening of the Siri SDK, along with an uplift in features courtesy of the VocalIQ acquisition. All of this talk got me thinking about Siri’s future. Siri started a revolution of sorts, that has be copied and extended countless times, and by some of Apple’s biggest rivals. This is no fad, this technology is here to stay, and will advanced faster than any tech evolution we’ve seen thus far. VC investment across the world is heavily weighted towards these technologies right now, which will accelerate progress and competition. Siri is now a part of Apple’s DNA, as much as excellence in industrial design is, and it can’t be held back. As such, it needs to be released into all Apple products, wholesale, across the board from Macs all the way through to the Beats brand, and the Safari browser. The Beats Pill speaker would be the perfect counter attack to the Amazon Echo & Google Home products. It’s form factor, usage model, and price point make it the perfect foundation for this. Next in the line up is Apple TV, which already has a Siri integration, and would naturally sit within most of the living space you’d expect to need Siri (living room, kitchen, bedroom). Siri for the Mac has been requested for a while now. Personally I’d insert it into the Safari Browser, where it can have a natural UI integration, linking off to other resources on the web (or else where on the Mac). This would also provide a much needed boost to stickiness for the Safari browser over Chrome. Beyond these items there’s plenty of scope to upgrade Apple’s other products like it’s Airport and Time Capsule lineup. In an ideal world this is the announcement I would like to see at WWDC. The key piece I see missing from all the the products in this space at the moment is the ability to maintain conversation across all devices. For an application [Siri] that lives in the cloud, this is a natural progression for a conversational engine. It allows you to interact in a familiar way. No matter what your location or what you’re doing it means Siri becomes omnipresent across mobile, home, office and car. Whilst you might start a conversation or request from your sofa, it may well carry on in another room or you car, the way any conversation might. The problem at the moment is none of these VAs hold context or conversational memory in the way a human might, and therefore every interaction is a clean sheet, which is just not the way we would expect to hold a conversation. None of this should be insurmountable for Apple, Amazon or Google, and would satisfy numerous use cases, not to mention the user frustrations with VAs that can’t remember what you told them 10 seconds ago let alone on a different device. The device manufacturer that cracks the product fit on continuous conversation first will win. I’m betting on Apple.